The National Climate Change Office (NCCO) of Belize has embarked on a capacity-building program to enhance Belize’s measurement and management of greenhouse gas (GHG) emissions with diverse sectors. 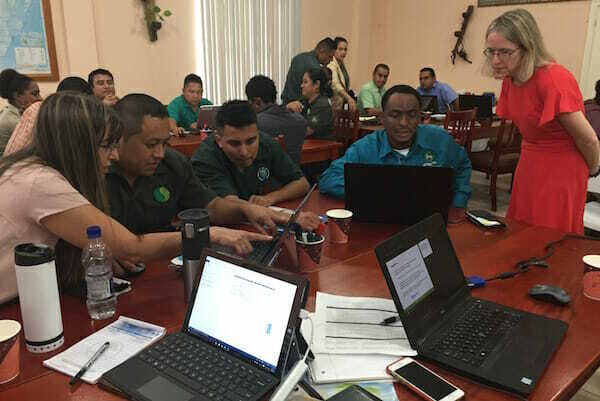 The Greenhouse Gas Management Institute recently lead a week-long training designed to equip participants with knowledge and skills in reporting under the UNFCCC and ultimately under the international Paris Agreement to which Belize has committed. The training objective was to improve the overall quality of tracking, reporting, and calculating of Belize’s greenhouse gas emissions. Click here to read more about this training in the Guardian.bz news.